There are many types of fuel that run our businesses, such as money, talent, assets and intellectual property. Stephen Scheeler was the MD of Facebook Australia and NZ for five years before starting his own consultancy business The Digital CEO. But there’s “a new fuel in town” that will hand a strong competitive advantage to those who move first to understand it, use it and embrace it, advises former Facebook Australia boss and digital advisor, mentor and speaker Stephen Scheeler. That fuel is data, and, like it or not, every business is going to become a data business in future, he said. 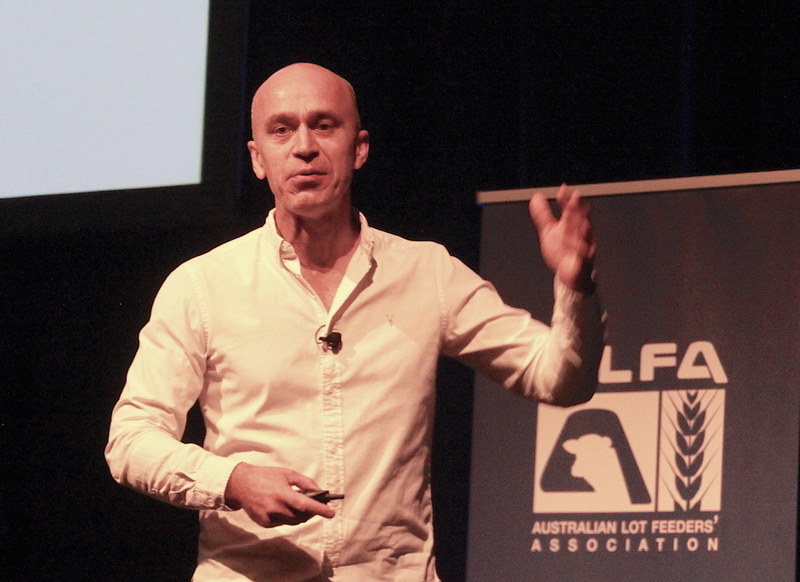 “There is a data arms race going on right now across all kinds of industries,” he told the Australian Lot Feeders’ Association’s BeefEx conference in Brisbane on Tuesday. “And unfortunately too many businesses don’t realise this battle is on. The step-change that has propelled data capture and usage into “game-changing status” has been driven by various factors: it is now much cheaper to collect and store data, there has been more data generated in the past three years than the whole history of the planet, and we now have the computer power to process tonnes of data very quickly. “This is why data analytics and machine learning are going to be such a deal,” he said. But the harsh reality was that most companies today don’t actually use a lot of what they already have, and the truth is, “most companies don’t have that much”. Business models were breaking down today because too many businesses weren’t thinking what their core competitive advantage was, and how technology is disrupting traditional business models. A key skill leaders should be seeking to master to position themselves for the future is “data dexterity’. This involved being able to ask the fundamental questions about what data is needed, how it is going to be used, and where data can help to create value or solve problems for the business. “You will become as good at that as are you are around operational questions or financial questions,” he said. “We need to incorporate daily insights into our work flows. It can’t be something that sits off in the corner, we have to pull it into how we do everything. “Think about the way you run so many businesses and how a P&L or a balance sheet will run through that whole business, it is a thread that runs through all leadership. Mr Scheeler described the type of thinking that drove Facebook to become one of the most successful companies in the world hinged on three things – data, obsession and ‘paranoia’. Central to the company’s mantra was a drive for continual improvement and never accepting that what was done yesterday would be good enough today. “At Facebook we used to say whatever got us to the bottom of the mountain won’t get us to the top,” he said. Despite the size of the organisation employees worked in small, efficient teams – if a team was too large to be fed by two pizzas, it was too big. The key focus was “continually better”, he said. “We would spend the day at Facebook saying the experience we gave users yesterday is not good enough today and we would spend the day improving on the previous day, and then the next day that wasn’t good enough and doing it again. “Never be satisfied with the status quo because if you’re not solving that problem, somebody else probably is.